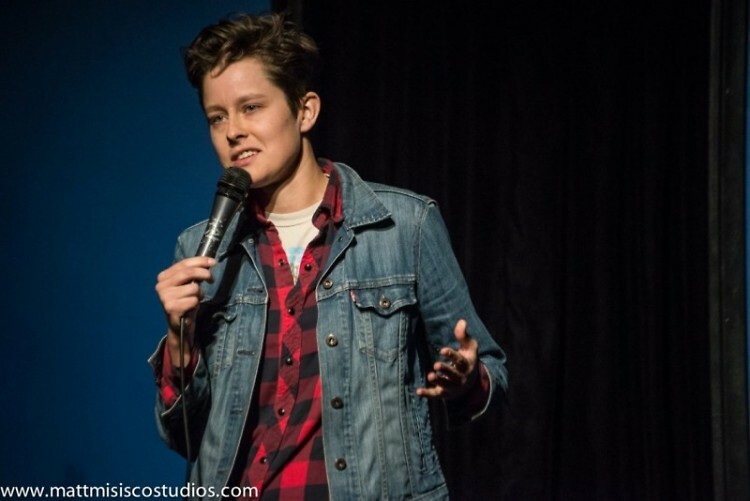 If we can all share a moment of joy, laughter, agreement, and disagreement for an hour, then you leave that space feeling energized and connection, Rhea Butcher said. 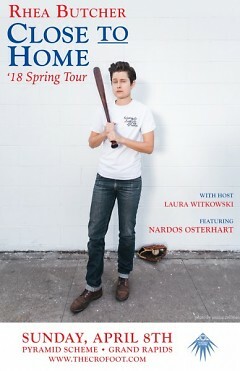 Rhea Butcher grew up a fellow midwesterner in Akron, Ohio. They are a standup comic, writer and actor, who now resides in Los Angeles. 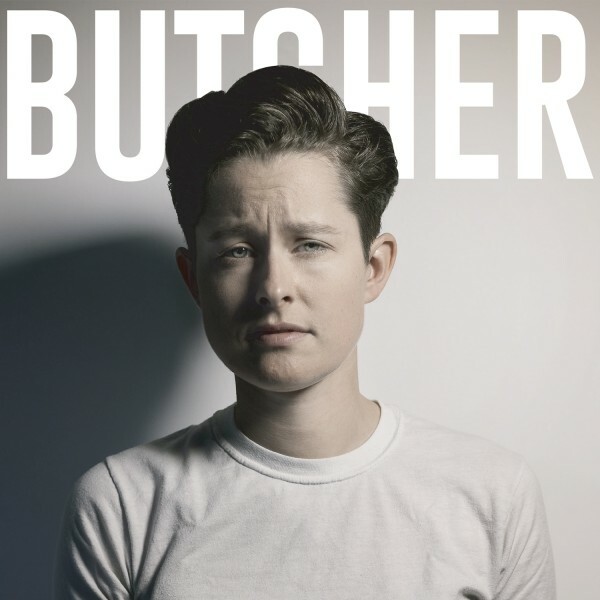 They have appeared on CONAN, released their own solo album, Butcher, and created the show Take My Wife alongside their wife, Cameron Esposito, which is now available on iTunes. One can also find them hosting PYHT show every Tuesday night at UCB Franklin. Rhea was named one of Variety’s Top Ten Comics To Watch 2017 at the Just For Laughs festival. Rhea is stopping by The Pyramid Scheme in Grand Rapids on April 8 for their Close to Home 2018 tour. Brittany Devon: How do you feel stand up comedy fits in in today’s polarized cities and communities? Rhea Butcher: That is an intriguing way to put it, many people don’t look at it that way. We could define [polarized cities] as fully rural or a city within a rural community, much like Grand Rapids. Akron is similar. I think [these conversations] are very important. I am shifting more focus to the possibility of what comedy could do in these communities. It’s hard to have nuanced conversations on social media, or even on television. I tweet thoughts or jokes that are meant to be thought provoking. Yet, I can’t explain my entire personhood or life to everyone that sees it. The people who know me have the context of me to understand what I am saying. However, on Twitter, it’s retweeted to people who don’t know who I am. My personal context is then removed from that. So, yes, I try to make statements that can be understood more than misunderstood when removed from context. But you cannot always do that. I think that comedy can allow you to bring that context back. It is live performance, and typically my shows, people are agreeing to go to them. I am in a stage where I would much rather go to the regions you are talking about, and bring a bunch of people into a room who are like minded and focused on similar things, who have beliefs that line up. I also want to be a comedy show that, what 20 years ago, a gay bar was doing. I want my comedy shows to be a queer safe space. They are open to anybody who wants to be in that space. I want straight people there, everyone who wants to be there. It’s not supposed to be exclusive. I want to create a space that is inclusive. If we can all share a moment of joy, laughter, agreement, and disagreement for an hour, then you leave that space feeling energized and connection. It’s a moment of actual reality that it extremely important right now. BD: Do you have any baseball analogies to describe our political climate? RB: Unfortunately I am going to use a team that is very complicated, so that’s not the greatest thing. I almost feel like we are Cleveland in the bottom of the tenth in the World Series right now. We have no one on our bench, we are down by two, and the only person we can put in is Michael Martinez, who does not hit well at all. It feels that way. What I would like is that we are actually the team that hasn’t won in 108 years. Soon, we are going to be putting together a line up after a lot of years of hard work, after a lot of digging and time put in on the field. Beginning to pay attention to the people that are underserved and underappreciated on the teams they are currently pitching for. Bringing them in and talking to them about the things they actually need and what they can offer. I am using all of this as a metaphor for organizing a movement of people who want to create change. Both of those teams describe what is happening right now, and many feel this is an unwinnable fight. To me, it’s maybe not about winning. I think there’s a lot of finger pointing and undermining what other people have been through. I disagree fully that these people don’t have value. I disagree with that more than anything else. BD: How do you feel your stand up helps heal people in times of difficulty? RB: I feel I am doing stand up for a different group of people. I talk about things that people usually make fun of, but I am on the inside of that group. I am actually turning it around and making fun of not being part of society fully. Somebody said to me that I have this ability to make empathy funny, I don’t know how succinct to put it. I never want to speak for other people, and I only want to speak for my own experience. Sometimes I have said something that has hurt people. I listen to that feedback and I change the way I approach it. Even when I am speaking from my own experience, it can hurt someone else. I try to then look at how I can explain my experience in the most inclusive way that we can all get on board with and relate to. I just want things to be as relatable as possible to as many people as possible, which I believe is universality. BD: How do you explore what material to include in your performance? RB: Typically, I work material out live. When I first started doing open mics, I worked in a corporate office with a lot of flourescent lightbulbs and a lot of time at a keyboard. I would write down my thoughts word for word and go to an open mic and say them almost word for word, not memorized but because I was writing out what I thought. That helped cement [the material]. The more I did stand up, the more that muscle was working on its own in terms of speaking live. Now, I work out material on our weekly podcast Put Your Hands Together (PHYT). I love our stand up show because it allows accessibility for a fanbase for comics in other cities that they wouldn’t usually have access to.